Why. Because sitting too long can kill you. This is according to a new study published this week in the Annals of Internal Medicine (note: that’s two n’s). And anytime we read the words ‘can kill you,’ we pay close attention. After all, we are in the life insurance business. So, how did we get here? Researchers studied nearly 8,000 adults and found a direct relationship between time spent sitting and risk of early mortality. The two magic numbers appear to be ’30’ and ’90’. Dr. Bob Pokorski, VP and Medical Director of Individual Life Insurance at Prudential Financial, shares a few positive steps you can make that may help your chances for a longer and healthier life. Take care of yourself. In a perfect world, the main purpose of health care would be to prevent illness. Unfortunately, today most health care is to fix problems that have already developed. To improve or maintain your health, stay current with tests and screenings for cholesterol, blood pressure, diabetes, bone health, and cancer, and follow your doctors orders for any condition you already have. Planning ahead for the likelihood of needing long-term care can make the difference between financial security and devastation. Unfortunately, people don’t like talking about long-term care. Many think long-term care (LTC) means ‘nursing home’ but this isn’t necessarily always the case. According to the American Association for Long-term Care Insurance, in 2014, 51 percent of LTC claimants had home health care, 18 percent were in a community care facility (assisted living/adult day care), and 31 percent were receiving 24-hour professional assistance in a nursing home. How life insurance basically works is that you buy a certain amount of coverage and when you die your beneficiaries are paid a check in that amount. With an add-on long-term care rider, you can receive living benefits if you end up needing long-term care. Now you know the best tips to live a long healthy life and how you can plan to afford it. When considering all the decisions, options, and costs you may pay, planning for retirement health care costs may seem daunting. Work with a financial planner if you’ve got additional questions or you’re not sure where to begin. If you’re looking for additional information on life insurance, long-term care, or life insurance policy riders, you can contact us here at Quotacy and we’ll point you in the right direction. September is Life Insurance Awareness Month. An entire month dedicated to bringing this awareness is needed because Americans are vastly underinsured. Why is that? Is it because they believe it to be too expensive? Is it because they think it’s confusing to understand? Well, today we’re going to explain the basic concepts of life insurance and talk about how much your life insurance may cost. Life insurance is a type of insurance in which you pay a certain amount (premium payments) to a life insurance company and in exchange they agree to pay a lump-sum payment (the death benefit) to your beneficiaries upon your death. Most people have a need life insurance, but those who have the greatest need are parents with minor children. Life insurance’s main function is to replace the income of someone who has died. Your children rely on that income to survive, they can’t take care of themselves. Take a look at this blog post for more information: Does Everyone Need Life Insurance? What you pay for life insurance is determined by your risk classification. Risk classification is the process of grouping together risks with similar risk characteristics. People with similar levels of risk are placed in common rating classes and charged the same premium. The lower the risk, the lower the premium. Actuaries are responsible for calculating the premium rates for each insurance company. Underwriters are the ones who assess the individual applications to determine an applicant’s mortality risk. Mortality risk is essentially determining a person’s probability of death based on a number of statistics. There are standard and substandard risk classes. Applicants with a normal or average risk profile will be accepted at standard premium pricing. 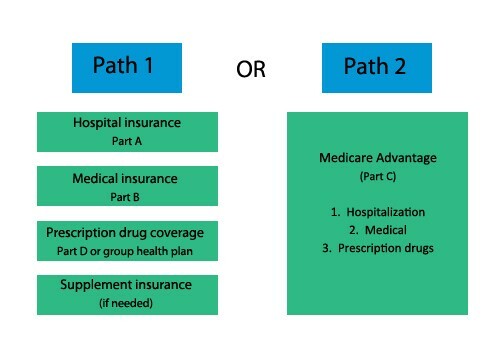 If underwriting determines that the applicant has a higher mortality risk than average, coverage may only be offered with substandard pricing, this is known as being table rated. According to Swiss Re, one of the world’s largest reinsurance companies, more than 85 percent of life insurance applicants are accepted at standard premium pricing and only 1-2 percent of applicants are ever refused coverage. Life insurance underwriting ensures applicants don’t end up paying too much or too little. All paid life insurance premiums essentially go into a big pot that gets invested and accumulates interest. When an insured person dies, the life insurance company reaches into this pot to pay the death benefit. It would not be fair for a 30-year-old cigarette smoking individual to pay the same amount of money as a 30-year-old who has never smoked. 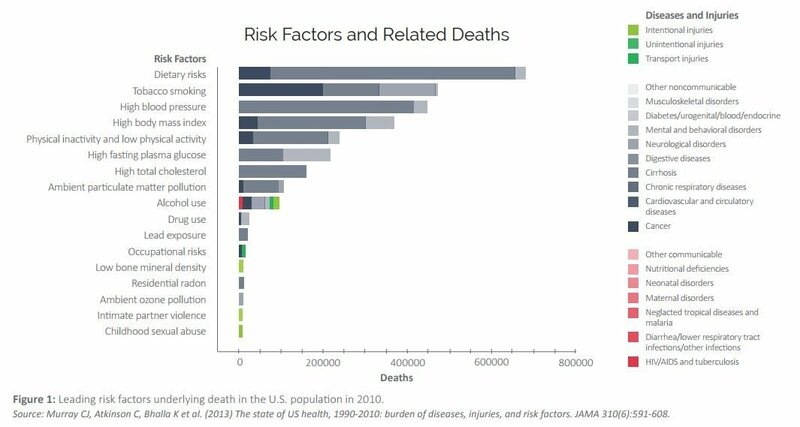 The cigarette smoker needs to pay more into the pot since their mortality risk is greater. Your premiums costs will be determined by the term length and coverage amount you apply for and your risk class. Your risk class is determined by your gender, age, health, family history, and lifestyle factors. Lifestyle factors can include your job, hobbies (avocation), alcohol use, and criminal record. For example, a deep sea fisherman has a higher mortality risk than a teacher. Women statistically live longer than men, so they pay less on average for life insurance coverage. Take a look at the table below and compare the premiums to the previous table. I used the same criteria to calculate premium costs, except I changed the applicant to a female instead of male. Your age is the most important risk factor used to calculate basic premium. As your age increases, your mortality risk increases. Don’t wait to buy life insurance, because the longer you wait, the more your insurance will cost. Take a look at the table below. Note: I calculated the premiums for the above examples by adding the monthly costs from 12 different life insurance carriers and dividing them by 12 to get the average. Your premiums could be lower or higher than these examples. If you aren’t sure how much life insurance you need, try using our handy dandy life insurance needs calculator. It’s easy to use and the questions aren’t complicated, unlike some online calculators you may come across. If you already know how much life insurance coverage you want to purchase, you can go straight to our term quoting tool. No contact information required until you’re ready to apply. Americans poor diets are killing them. In the U.S., over 70 percent of adults are overweight or obese. According to the CDC, obesity has far-reaching health consequences, including higher risks of diabetes and cardiovascular disease; increased risk of mortality from certain cancers such as colon, breast, and endometrial cancer; greater risk of joint pain, depression, and worse quality of life. When it comes to applying for life insurance, underwriters evaluate your application and decipher how much of a risk you would be to insure. In other words, How close is this person to dying? The higher of a risk you are, the more your policy premiums will cost. Build (height and weight), blood pressure, cholesterol ratio, diabetes, and heart conditions are some issues that commonly wind up causing increased policy premiums. These issues are oftentimes directly affected by diet and exercise choices. World War II had a dramatic effect on the way Americans ate. 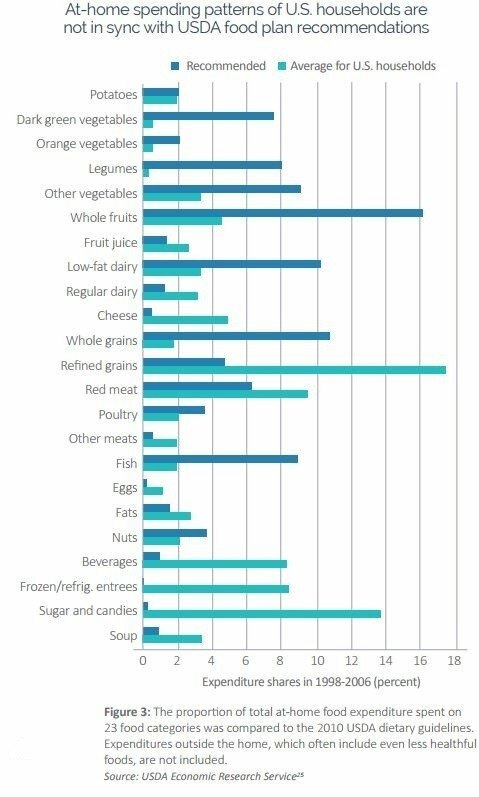 After scrimping for many years, Americans saw food as a source of pleasure versus just nutrition. Televisions swarming with food advertisements entered most living rooms. Microwaves began appearing in every kitchen. WWII left the government with a large quantity of unused chemicals â€“ which became Americas fertilizer and pesticides. These chemicals were a pivotal part of creating a huge food surplus and a market for cheap, high-caloric foods. Diets moved toward a greater reliance on highly processed foods and sugary beverages. These foods and drinks are often high in calories, refined grains and starch, have added sugars and salt, and are low in naturally-occurring nutrients. 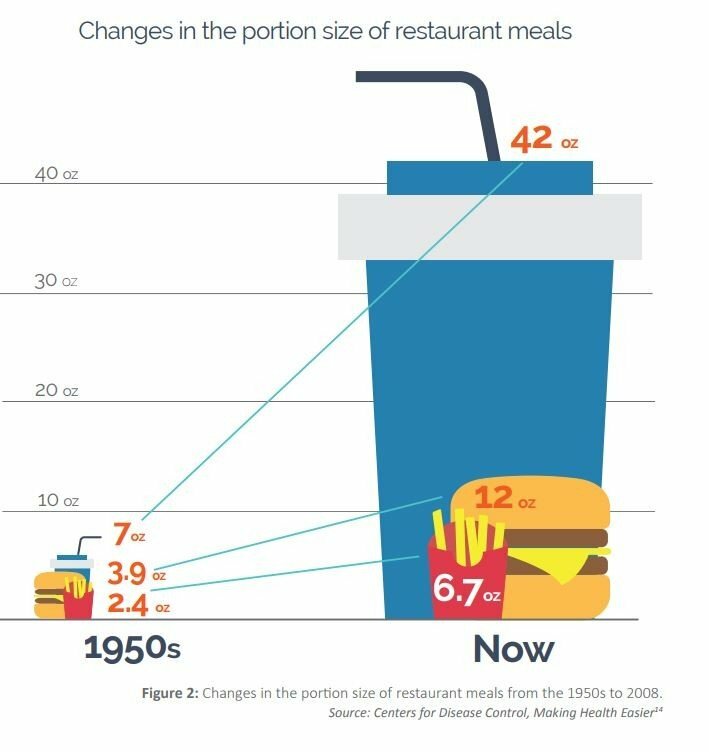 And not only are the foods themselves less healthy, but Americans are eating more of it. Unfortunately, the less-than-desirable foods are easier to consume because they tend to be faster to prepare and cheaper to buy. Harvard research has determined that on average healthy meals cost $1.50 more per day than an unhealthy meal. For some individuals, immediately switching over to the Mediterranean Diet, considered one of the better dietary patterns, just may not be financially feasible. You don’t necessarily need to go through your cupboards and start tossing all the boxes of macaroni and cheese, but don’t make it a regular dinner habit. You also don’t need to start buying only organic produce. Start small, even the smallest changes can make big differences. 1. Start your day with protein. Heather Leidy, Ph.D., an assistant professor of nutrition and exercise physiology at the University of Missouri, says Protein increases satiety throughout the day and this leads to reductions in food cravings and unhealthy evening snacking. This could be the equation for the ideal weight-loss breakfast: a two-egg omelet + low-fat cheese + two ounces of lean meat (such as lean ground beef or turkey). No time to cook eggs? Try Greek yogurt with nuts. 2. Focus on what you can eat, not what you can’t. Tell yourself you can eat as many fruits and vegetables as you want. Dariush Mozaffarian, M.D., the dean of the Tufts University Friedman School of Nutrition, says it’s better to eat 800 calories of healthy food than 600 calories of junk food. His research has linked the consumption of foods such as potato chips, sugary beverages, and processed meats to weight gain, whereas increasing consumption of foods such as vegetables, nuts, and yogurt had the opposite effect. 3. Ask yourself: Does it taste good? How hungry am I? 4. Forget what you’ve heard about the scale. You’ve likely heard that you shouldn’t weigh yourself too often because you’ll risk being discouraged by frequent fluctuations due to water retention or undigested meals. However, according to the Journal of Obesity, people who weighed themselves every day lost more weight and kept it off more successfully. David Levitsky, Ph.D., the lead study author and a professor of nutrition and psychology at Cornell University, says, Stepping on that scale affects your decisions through the 24 hours that follow. It can cause you to choose salad for lunch instead of macaroni and cheese. 5. Try the golf ball trick. Leave about one-quarter of your normal serving off your plate for every food at every meal for two to three days. Â Then, as you’re eating, leave two tablespoons of every food (roughly the size of a golf ball) on your plate. Thirty minutes after each meal, are you still hungry? Most likely not. Smaller serving sizes may become habit. 6. Eat your vegetables first. Traci Mann, Ph.D., a professor of social and health psychology at the University of Minnesota, says the key is to put an unprocessed vegetable on your plate and consume it before any other type of food hits the table at both lunch and dinner. Her research has shown that this habit leads to eating fewer calories. 7. Start meals with water. Studies show that if there are candies right by your hand, you’ll eat a bunch, says Mann. If you make it so that you just have to straighten your arm, you’ll eat much less. You’ll eat even less if you have to walk across the room. Put tempting foods in higher cabinets, so you’ll need a chair or a stool to reach them; serve yourself a reasonable portion of dinner, then store the leftovers in the refrigerator before you sit down to eat; and cover sweets with foil instead of plastic wrap so you won’t see them every time you’re in the kitchen. 9. Cook just one more meal at home. For each restaurant meal that you replace with a home-cooked meal, you can save 200 calories. Simple enough. 10. Prep veggies ahead of time. Vegetables often require cleaning, chopping, and/or cooking. But when all you want is to dive into a bag of chips, you’re not as likely to clean, chop, or cook. So keep healthy foods in ready-to-eat portions. Unhealthy diets are among the greatest health challenges of our time and a key driver of mortality and poor quality of life. Exercising and choosing to eat healthily aren’t very fun, per se, but it’s doable. When you’re struggling to make these choices, consider who you are making these choices for. Obviously you want to be healthy for you (not to mention your wallet) but you also want to do it for your loved ones. Heart disease doesn’t affect just you. Diabetes doesn’t affect just you. Cancer doesn’t affect just you. Your loved ones will be there dealing with the effects of your health issues too. A healthy lifestyle can help keep your life insurance rates low, premiums affordable, and give you peace of mind for you and your family. You may tend to overlook your roof, but it’s actually the most important component of your home – and the most vulnerable. It protects you from the elements like rain, snow and sun, but roofs don’t last forever! I didn’t really think about the importance of roofs until recently when my friend and her husband bought their first home. It was built in the late 40s, and since she moved in she’s been saying how badly her roof needs replacing. Of course, that was five months ago, and work has still yet to be done. I then thought to myself, is putting off the project really going to affect you that much? So I began to research how one would go about replacing or repairing a roof. The first order of business: understand the relationship between the age of your roof and its life expectancy. According to the Good Housekeeping magazine, shingle roofs should last between 20-30 years (if you have a different type of roof, such as metal or clay tile, you may have to follow different rules). If your home is new or the roof was recently replaced, you should be in the clear. However, it doesn’t hurt to do a checkup after getting hit with severe weather like a hailstorm, ice and snow or crazy rain. According to Home Advisor, a roof replacement can range anywhere from $2,000 to $7,000. The size of your home, the materials used and where you live will affect that price range. It’s no small sum, but in return for the investment, you’ll add thousands of dollars to the resale value of your home and ensure a safe and habitable dwelling for years to come. Don’t need a new roof right now? Do a quick check each month to see if maintenance is needed. If you notice problems like missing shingles or signs of water damage, be sure to call a roofing specialist to make the repairs as soon as possible – it could save you a bundle by prolonging the life of your roof and stopping costly leaks in their tracks. I’ve learned that each year brings new ideas and challenges. As college students search for independence, a new challenge for this school year could be renting an apartment. If you’ve been down this road before, you know renting an apartment for a college student can be stressful. If this is your first time, there are many things to keep in mind. Unfortunately, when it comes to renting an apartment in your student’s college town, you’ll notice that rent prices can be through the roof and places may be in poor condition. Here are some tips to help you and your college student through the process. Is it a residential area or business district? If it is a business district, what type of work is performed there? Are retail stores and restaurants within walking distance? Use the power of the internet to your advantage. Look for online reviews from previous renters. Compare and contrast different properties. Use tools such as Google Earth to look at the neighborhood as well as the condition of the property. If something looks too good to be true, it may be a scam; proceed with caution. See the actual size. This is a nice opportunity to see if their furniture will fit. Check out the quality of the appliances. Look in cupboards and closets. Keep an eye out for mouse droppings. Identify preexisting damages such as holes in the walls or carpet stains. Run the water in sinks and showers and flush the toilet. 3. Coach your kids. This is an opportunity for your kids to enter the realm of adulthood. Discuss with them what to look for and questions to ask. Lights burned out in the hallway or empty beer cans may not seem like a big deal, but can provide a glimpse of poor maintenance schedules or rowdy neighbors. While these things may not be a big deal at the time, they could be after signing a 12-month lease. 4. Discuss your expectations. Property owners may not be comfortable renting to your college student due to lack of income. Therefore, you may be asked to co-sign the lease. Before you sign on the dotted line, discuss your expectations with your student. It may not even be a bad idea to create a contract between the two of you. Once you co-sign, any damages that occur are your responsibility. 5. Make sure the lease is in writing. Signing a lease with a large apartment complex often leads to paperwork that is more thorough. Individual property owners may not follow a structured approach. If they don’t have the appropriate paperwork in place, consider renting somewhere else. 6. Test their smartphone. Depending on the construction of the building or their phone company, your student’s smartphone may not work. Have them walk through each room to make sure it works. I’m sure you’ll want to get a hold of them from time to time. 7. Understand the pet policy. Simply having a pet may cause you to forfeit your security deposit even if your pet doesn’t cause any damages. 8. Don’t forget to purchase renters insurance. Most landlords’ insurance policies cover only the building, not what’s in it. Many students think because they’re in college, they don’t have anything valuable to insure. Imagine if they lost everything in a fire. The cost to replace necessities adds up quickly. To learn more about renters insurance, check out the blogs below. 9. Make multiple visits. Visiting at night or during poor weather conditions can paint an even better picture for the both of you. No one wants to rent a place with roof that leaks or one that has poor insulation. Poor insulation can lead to increased heating costs. 10. Pros and cons. After each visit, identify the pros and cons while they’re fresh in your mind. Hospitals are offering their own insurance plans and could easily destroy the private insurance industry as we know it. With hospitals consolidating and still setting prices, the need for an insurance middleman is shrinking. The recent health bill failure could speed a hospital takeover of the insurance market. Some of the world’s most powerful retailers have been brought to their knees in recent years thanks to the “Amazon effect.” The internet juggernaut has simply been able to provide almost all the goods consumers can buy more conveniently and has effectively taken over the retail industry. It appears people like Amazon founder and CEO Jeff Bezos saw this opportunity all along, and precious few retail investors saw it coming. But is there is a similar disruptive event on the horizon here in the U.S. when it comes to something just about all of us have to buy? When it comes to the controversial and increasingly all-consuming market for health insurance, the answer appears to be “yes.” And playing the role of Amazon in this scenario is none other than the ever-expanding and powerful U.S. hospital industry. On its face, health insurance as it’s used today in this country is built on a strange business model. Insurance plans are generally used as a hedge against major or unpredictable losses. And long ago, the bulk of the health insurance business was based on that model, with plans sold as a hedge against unexpected and major medical costs like emergency surgeries. But the general rise in all health care costs and the fact that comprehensive health insurance coverage is now mandated by Obamacare have conspired to make health insurance a very different kind of product. Now, the primary purpose of health insurance is to serve as a middleman to defray the costs of certain or near-certain events like regular medical checkups and common medical procedures. But just because so many of us are convinced we need health insurance sold by an insurance company, and just because that’s the way the politicians think of things, what’s to stop another industry from offering the same protections more conveniently or maybe even at lower prices? Nothing it seems. In fact, hospitals, which provide the lion’s share of America’s health care, have already started to sell health insurance plans. 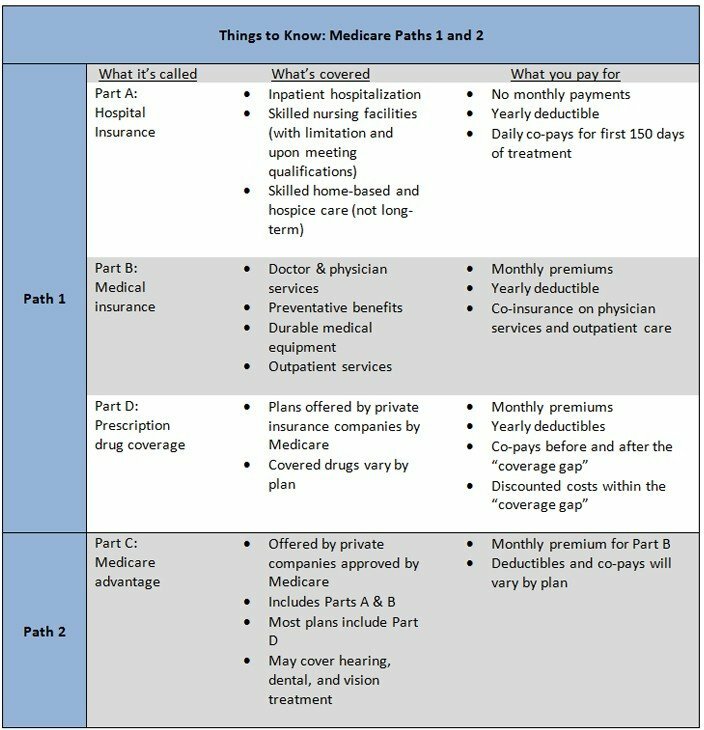 Obamacare’s private exchanges made that easier to do logistically, but the biggest impetus is the fact that hospitals have been consolidating and increasing their reach over every aspect of health care from acquiring private practice doctors’ offices to operating nursing homes and rehab centers. It’s a simple case of an industry that provides every health care service deciding to cut out the middle man. He and his peers may not have to wait too long if Obamacare’s generous direct and indirect subsidies are cut by the Trump administration or some kind of Congressional reform of the ACA. And with several insurance companies deciding to exit Obamacare exchanges even with those subsidies in place, the hospital industry may soon find itself playing in a much less crowded field. Hospitals could also simply start to offer customers significant discounts for using their plans or perhaps even stop accepting certain competitor insurance plans altogether. It all depends on how ruthless they want to be, but no one can deny they have the power to do it. After all, they control the actual product customers ultimately want: health care. And health care and health insurance are two different things. But it would be naive not to consider one factor that could keep the status quo in place for a longer time. That would be the fact that insurance companies and hospitals have a symbiotic relationship that helps perpetuate the hospitals’ ability to control prices and the insurance companies’ ability to convince almost everyone in America that they need their product. It works something like this: Hospitals continue to have the most leverage when it comes to setting and raising prices for all kinds of care. But the insurance industry helps mitigate the potentially disastrous response to hospital price increases because people who have insurance don’t pay full price. In fact, most of us don’t know the actual price of any treatment at the hospital. Imagine running an industry that has the power to raise prices without having to deal with public outrage when those prices are raised because its prices aren’t published. That’s the advantage most hospitals have in no small part thanks to the insurance industry. You may know what you’re paying in monthly premiums or what comes out of your paycheck to pay for health insurance. But you have to wait until you get medical treatment and then get an itemized statement from your insurer to find out what the list price of that treatment was. The insurance industry gets its justification to exist by selling the idea that only it can help make those mysterious health care costs affordable. So when hospitals raise prices, it’s very good news for them and the insurers who serve their patients. But again, the implosion of Obamacare in so many parts of the country is already putting the private insurance industry in jeopardy. When and if the bean counters figure out a way that hospitals can do better without the private insurers around, it’s hard to see why they wouldn’t simply sweep them away faster than Amazon put an end to your local book store. A Minnesota restaurant owner has added a surcharge to customers’ bills to help pay for her employees’ health insurance. Kim Bartmann, who owns six restaurants in the Twin Cities area, is adding a 3% service charge to customers’ checks to help mitigate the rising cost of coverage. Bartmann has offered her employees health insurance and dental coverage since 1993, according to KARE 11. Staff members paid 50% of the cost, while she paid the other half. But with coverage costs climbing, Bartmann said she had to do something. Bartmann told the station that she expects surcharges like hers to become commonplace.